If you work with Microsoft Office (or are looking for jobs that'll require you to, and they all do), you can't afford to miss this deal. For a limited time, you can pay what you want for the Microsoft Office Productivity Bundle at Escapist Deals. Whether you're already pretty skilled with Microsoft Office or you have nightmares about Excel spreadsheets, this bundle is packed with 12 courses that will sharpen your skills, give you new tools, help you work better and faster, and wow your bosses. Pick up the bundle and dive right into creating awesome charts using Excel, customizing tables in Word, linking and managing different Outlook email accounts, designing customized forms using Access, creating sleek PowerPoint slides, aggregating notes with OneNote, and more. You'll learn your way around essential Microsoft Office programs and skills at your own pace, thanks to the lifetime access to the material this deal will give you. Change how you work. 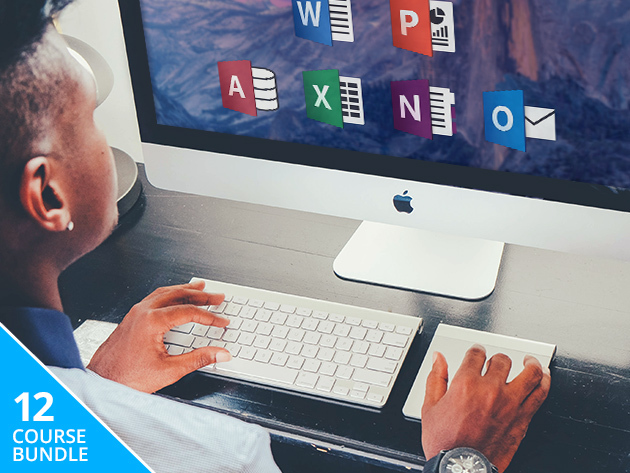 Give your career a hand with the Microsoft Office Productivity Bundle and pay what you want for it at Escapist Deals! Plus, 10% of the proceeds will go to charity Project HOPE. Project HOPE delivers essential medicines and supplies, health expertise and medical training to respond to disaster, prevent disease, promote wellness and save lives around the globe. I was just researching ways to improve my Microsoft Office skills, and then I saw this bundle. Gonna buy it and see how it works.